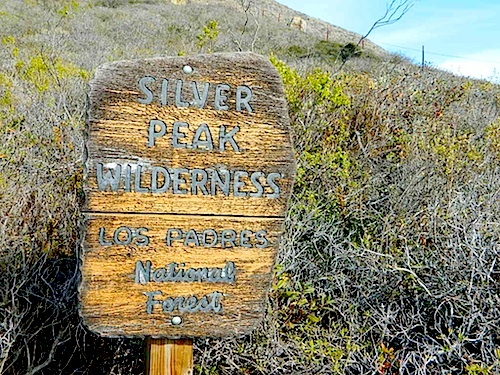 Sun-bleached, wooden Los Padres sign – near Salmon Creek trailhead. 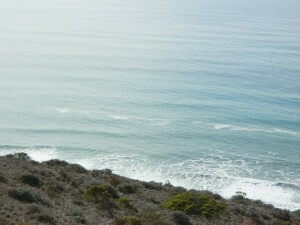 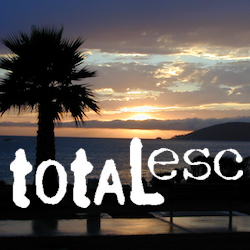 Backpacking and hiking trails on the Pacific Coast, steep terrain next to ocean. Coastal redwood canyons, oaks hills, great views. 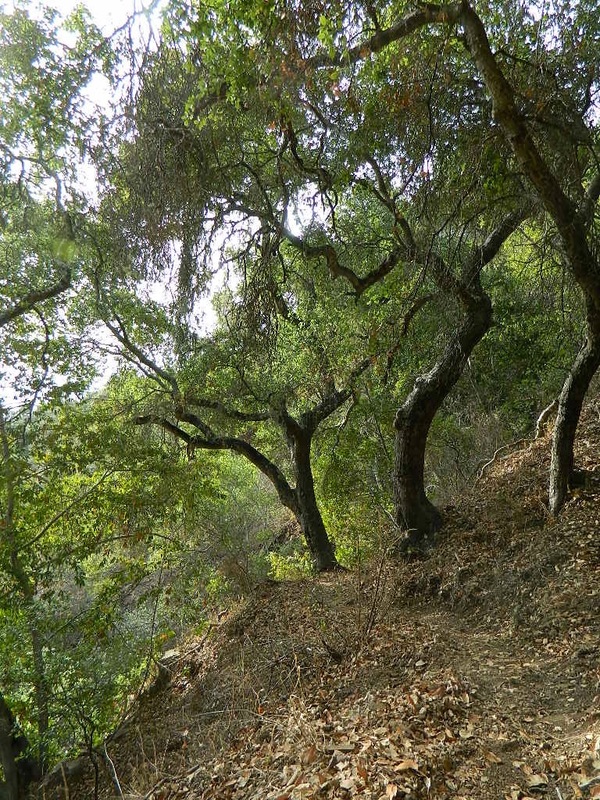 The neighboring Ventana Wilderness is located just north of Silver Peak hiking trails.